a sticky situation: April Release Blog Hop! 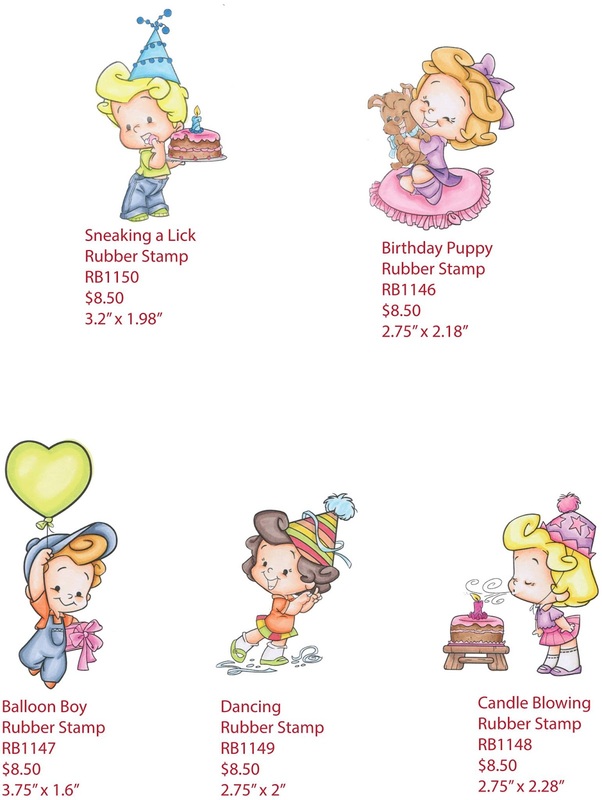 Today is RELEASE DAY for the new APRIL Stamps at C.C. Designs. 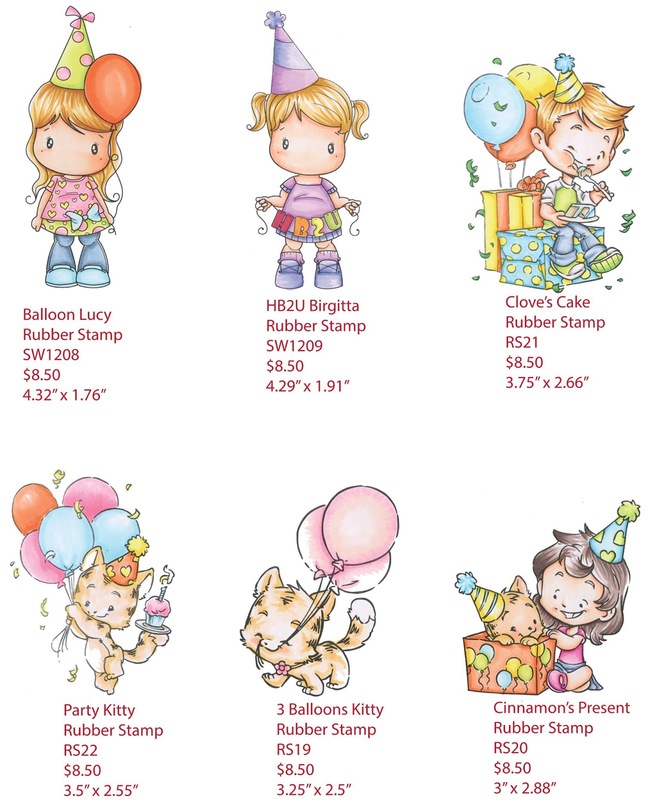 these new stamps revolve around birthday parties and celebrations! and always gives the image such an easy tan complexion. 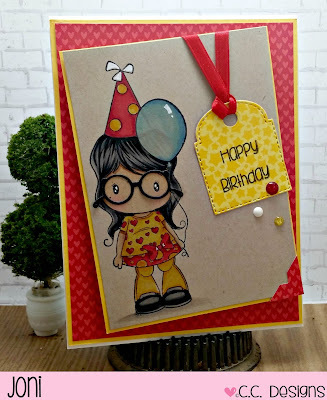 I paired Balloon Lucy with two dies from the Make A Card Summer #16 Metal Die. The glasses are a perfect fit for Lucy and gives her such a studious look. I also used an old C.C. Designs sentiment on the tag die from this same set. then I added a little faint detail behind the balloon for transparency. Every release we will have a New Release Blog Hop to showcase our awesome Design Team. Check out their amazing creations! please give a warm welcome to Mindy Baxter of My Creative Scoop! to let us know you completed the hop. The winner from the Blog Hop will receive FREE stamps!! *This Blog Hop will end on Sunday, APRIL 9th at NOON, 12pm EST. All winners will be announced the following week. Don't forget we also have a give-away on the C.C. Designs Facebook Page. in the FACEBOOK comment section. You have until Sunday, APRIL 9th to leave an answer for a chance at winning! All of these products are now available in the C.C. Designs Store! I adore your card!! What a cutie she is, and looks brilliant on kraft!! Love the card design and the beautifully colored little girl. She probably doesn't like those glasses but I think they are adorable. Love images on Kraft they just pop! and that balloon looks awesome! 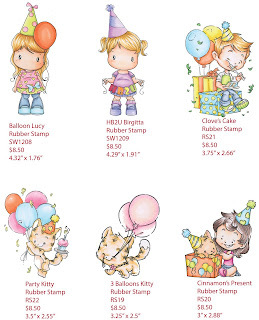 Love your coloring on the kraft paper, especially the balloon.